French firefighters are working to extinguish a blaze in a Paris restaurant seen as a powerful symbol of France’s elite that was torched amid yellow vest protest violence. The flames pouring out of the posh eatery Fouquet’s on the Champs-Elysées marked one of the most powerful images on a day of unusual unrest in the French capital. The restaurant was vandalized Saturday morning and later set ablaze. 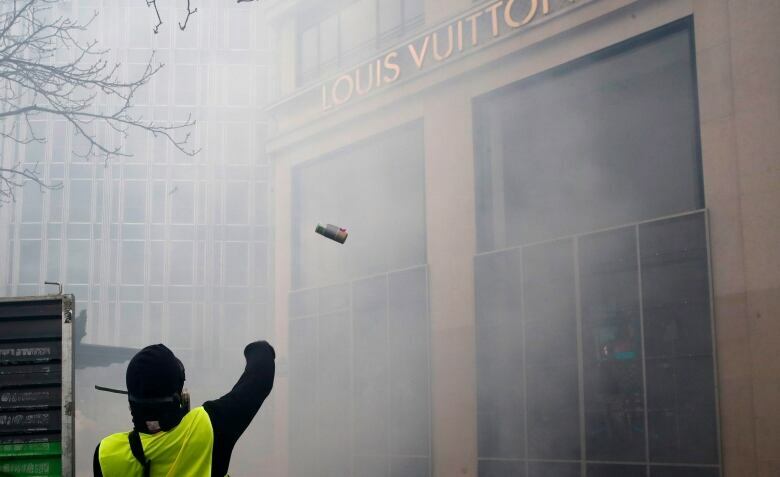 Several luxury boutiques along the elegant avenue were also ransacked, and kiosks set on fire. Fouquet’s is popular among celebrities and powerbrokers. Critics see the place as an offensive example of bourgeois decadence that is inaccessible to most French people, who are struggling to pay their bills. It’s also associated with former conservative president Nicolas Sarkozy, who celebrated his 2007 election victory in Fouquet’s — drawing criticism for his choice of such a flashy locale. 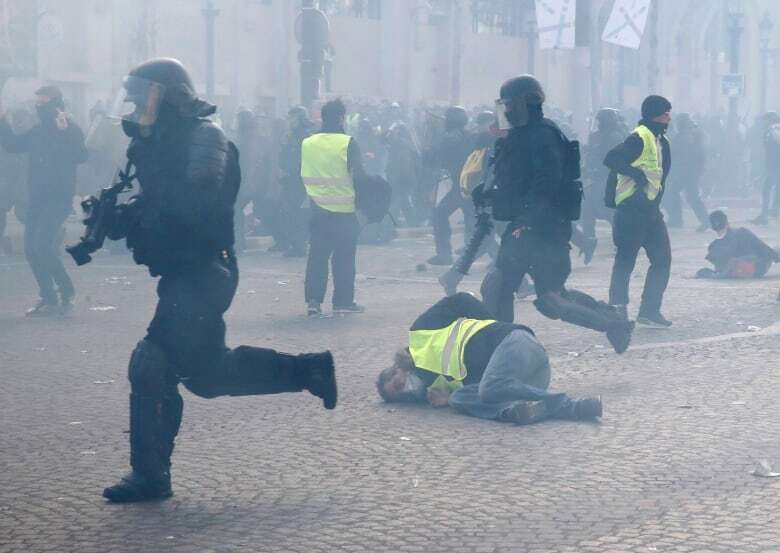 French yellow vest protesters are rioting in a 18th straight weekend of demonstrations against current President Emmanuel Macron. The movement, started initially as a protest against a proposed fuel tax, has expanded to become a protest against the inequality of French society as well as taking in anti-migrant groups. Macron had led the debate over the past eight weeks in response to protesters’ concerns about sinking living standards, stagnant wages and high unemployment. Yellow vest protesters say they turned out in increased numbers to show Macron their disappointment after a two-month national debate ended Friday. Saturday’s protests saw more than 100 people arrested amid rioting in the capital.